Change Your Ways in 90 days! Fed up of doing the same old things day in, day out? Tired of working hard for average results? Have the feeling that you could do more, be more? 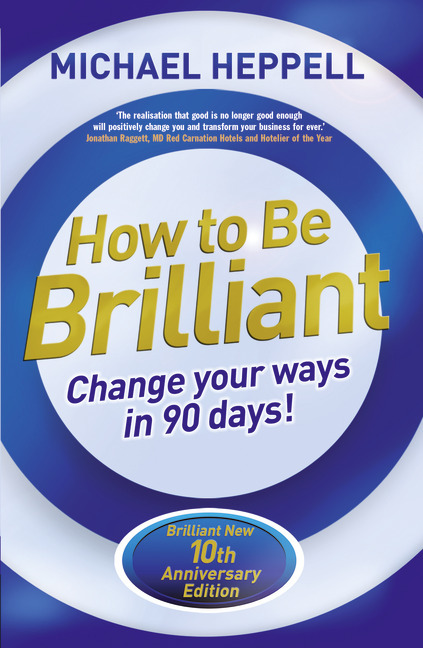 How to Be Brilliant has been helping people to be brilliant for ten years. This international bestseller shows you how to make the critical steps from average to good and from good to brilliant – at work and in life. It’ll help you work out what’s happening right now and get clear about how it could be so much better. · with as much fun as possible. And once you know the secrets to being brilliant you can apply them to all areas of your life. Don’t be good. Be brilliant. So why a Tenth Anniversary Edition? 12. How to be ‘brilliant-er’: The next level! 13. Overcoming obstacles: What stops brilliance? Michael Heppell is the bestselling author of Flip It; Brilliant Life; Five Star Service and How to Save an Hour Every Day. As a professional speaker and personal life coach he works with leading companies, individuals and organisations across the UK and globally.